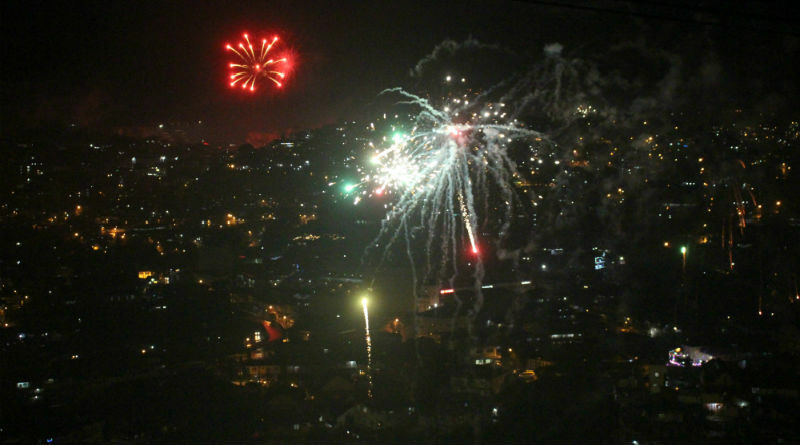 CAPM DANGWA, La Trinidad, Benguet January 11 – Police authorities disclosed a fifty percent drop in the number of firecracker-related injuries from December 21, 2018 to January 6, 2019 after having recorded only eleven cases during the Yuletide revelries this year compared to the twenty two cases that were reported during the previous reckoning period. Superintendent Pelita Tasio, public information officer of the Police Regional Office (Pro) in the Cordillera, said that of the 11 recorded firecracker-related injuries, 10 came from Abra while 1 was from Ifugao. Aside from the significant decline in firecracker-related injuries in the different parts of the region, Tasio also reported that there were no incidents of stray bullet injuries that were reported in the region during the Yuletide revelry that speaks well of the discipline of the people and the men and women in uniform in not using their firearms to celebrate the Christmas and New Year revelries. The police official noted that among the firecrackers that inflicted injuries to the victims, who were mostly teenagers, included piccolo, kwitis, 5-star, boga or improvised canon that was in their possession when the same exploded that caused their injuries. On the other hand, she noted that there was a firecracker-related incident that was reported in Apayao but upon verification, it was established that the incident transpired in ?Cagayan and that the patient was only provided medical treatment in an Apayao-based health facility specifically the Far North General Hospital and training Center. Tasio also revealed that zero firecracker-related incidents and stray bullet injuries were reported in Baguio city, Benguet, Mountain Province and Kalinga during the duration of the Yuletide merrymaking that is why the achievement of zero casualty during the yuletide season is highly realizable with the cooperation of the people to the stringent policies against the sale and use of firecrackers when celebrating the Yuletide season. Earlier, the Philippine National Police (PNP) adopted as a policy the no nuzzle taping of the firearms of the over 6,000-strong police force in the region following the successful implementation of the program during the previous Yuletide revelry. Tasio expressed the gratitude of the PRO-COR leadership to all stakeholders in the region for their unwavering and uncompromising support in the implementation of the ban on the sale and use of firecrackers during the Yuletide revelries that resulted to the tremendous decline in the number of firecracker-related injuries among the people. She claimed that what remains to be alarming is that most of those who sustained injuries after being exposed to the bursting of firecrackers remain to be teenagers which warrants the need for parents to continue strengthening the monitoring of the activities of their children during the Yuletide season to prevent them from being exposed to the dangers of using firecrackers to celebrate the Yuletide season. The monitoring of the firecracker-related and stray bullet incidents is being jointly administered by the Police and health authorities pursuant to marching orders from their central offices to ascertain the success of related programs to convince people to shy away from using dangerous materials to celebrate the merrymaking season.